I’ve always loved music and love going to see live bands and artists. I’ve enjoyed listening to music more so over the few years especially since I’ve found Last fm, which is a Internet radio site. This place is amazing I love the fact that it is so focused on music, I’ve met so many good people, found tons of music I would never have encountered otherwise and it led me to…. the Squeezebox. Now this is where it gets even more fun…. I can now listen to all my music (approximately 16,000 songs on my hard drive) but the beauty of it is I don’t need to be sat at my computer to do it. I can have the boxes all over my house as it’s all done wirelessly. 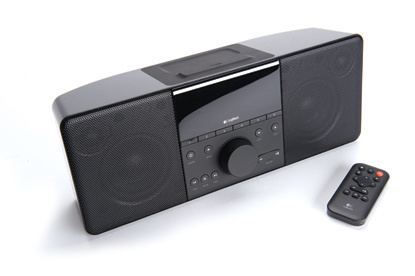 I didn’t have a decent hi-fi system in my home and really didn’t want to have to be in one room all the time for my music source so was looking for something, then I found the squeezebox booms. They are quite small, and have built in speakers so it’s perfect for me. The Duet Controller has album artwork on it and you can scroll through to find what you want to play (like a ipod), you can play a song, a whole album or all the music from one artist, have a random mix playing or a specific playlist.The duet can change any other of squeezeboxes so you can switch rooms easily. The duet receiver plugs into my surround system in my living room… instant music with great speakers.